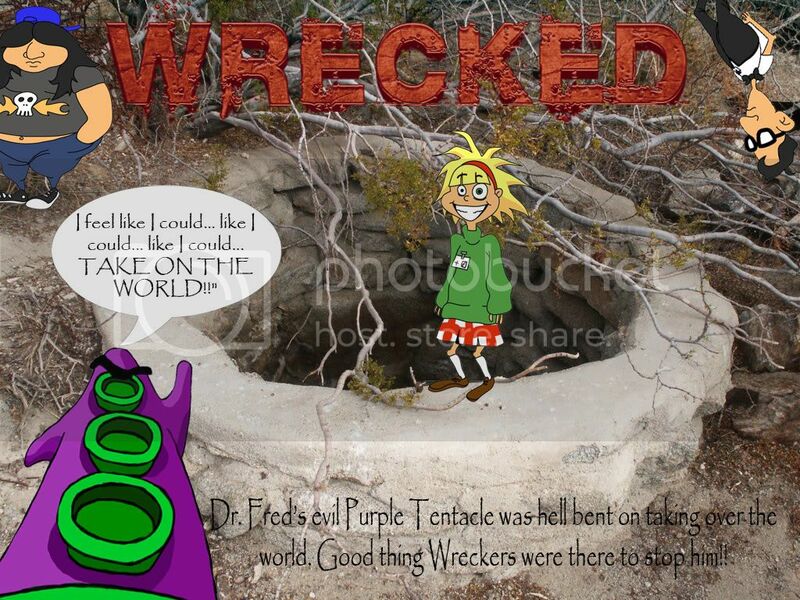 Wreckers :: View topic - Day of the Tentacles!!! Well almost. Day of the Tentacles!!! Well almost. Posted: Sun 21 Aug, 2011 9:21 am Post subject: Day of the Tentacles!!! Well almost. Posted: Mon 22 Aug, 2011 12:44 pm Post subject: Re: Day of the Tentacles!!! Well almost. Seriously? Nobody has commented on my DoTT reference and pretty front page! Screw you hippies I quit. Posted: Mon 22 Aug, 2011 4:32 pm Post subject: Re: Day of the Tentacles!!! Well almost. Very pretty Sab. Nfi what the reference is to though. Posted: Mon 22 Aug, 2011 4:56 pm Post subject: Re: Day of the Tentacles!!! Well almost. Wow really? Maniac Mansion? Day of the Tentacle? Maniac Mansion is a cult classic. Day of the Tentacle is considered the sequel to Maniac Mansion and came out in the early 90's. It's a point and click puzzle game. Collect something to use somewhere else. It came out not long before Sam & Max, another cult classic. You guys are way too young and uneducated in gaming greatness. If you haven't played DoTT before I thoroughly recommend you download a copy of DosBox and either hit me up for a zip copy (it's like 4Mb) or download a copy off the web and try it out. Literally hours of side splitting laughs and gag comedy. Plus at a point in the game you can access a computer terminal and play the original Maniac Mansion. A game within a game, it was totally unexplored teritory in it's day. Posted: Tue 23 Aug, 2011 10:36 am Post subject: Re: Day of the Tentacles!!! Well almost.